The trends studied in Mobility4EU include societal trends, political trends, economic trends, technological trends and legal trends. Mobility4EU identified nine major trends shaping mobility. The trends allow describing present and emerging societal factors that have impacts on mobility, both for freight and passengers’ mobility. Economic climate and economic conditions play a major role in shaping the demand of mobility. The implementation of industry 4.0 will lead to an increase in productivity. Employees’ expectations, devices innovation and faster connectivity are converging to transform the way we do business. This will require more flexibility in labour conditions and restructuring in working arrangements. Needs and requirements on public transport (e.g. patterns in time, frequency and distance, “peak-hours”, requirements on affordability, flexibilities in tickets etc.) will also change due to the shifts in economic power and shrinking middle class in EU. Emerging economies are lifting millions out of poverty while also exerting more influence in the global economy. These developments and growing e-commerce, will increase the amount of freight and change the patterns of loads, frequency, time of delivery, distances. Predominantly aging, but also migration are the main demographic trends in Europe. The goal of social inclusion ensuring wide opportunities and resources for everyone to participate fully in economic, social and cultural life, will pose great challenges also to transport providers. The value of the consumer experience includes the design of environment, services, and products that are responsive to citizens’ needs and desires. Customer-centric products and services will be increasingly demanded. They will be based on a wealth of information about the individual passengers and their needs. Increased awareness of environmental concerns is engaging society in more sustainable patterns of behaviour. Public focus on health and wellness is shifting mobility choices towards more active modes such as walking and cycling. Urban space has become very dominant in the European geography. Growing and extending cities lead to the emerging concept of city-regions, which combines several spatial scales and imposes different transport modes. This impacts demands on personal and freight transport. The resulting de-centralization of logistic facilities and the growing demand for extending transport networks is more and more seen as an issue by urban and regional planners and requires novel business and financing models. The idea of Smart Cities is rooted in the creation and connection of human capital, social capital and information and Communication technology infrastructure to generate greater and more sustainable economic development and a better quality of life. The implementation of the smart city will further push the digitization and deployment of new technologies in transport. Climate change, air pollution, and noise are gaining importance within society. Carbon emissions will be subject to tight regulations and stronger price mechanisms. Stringent regulations on emissions may affect the planning and operation of transportation systems, with a preference for greener materials and modes of travel. Vehicles will have to adapt to these regulations and road infrastructure will have to accommodate new vehicle and fuel technologies. The resources required to sustain current levels of economic growth may not be available over the next decades. The implementation of the circular economy, where products and resources are reused to extract their maximum value rather than entering the waste stream, is strongly growing in society and industry, as well as reshoring and local sourcing. Changes in preferred transport options and for demand on freight will be triggered. According to the International Transport Forum, by 2050 there will be around three to four times as much global passenger mobility (compared to 2000) and 2.5 to 3.5 times as much freight activity. Employing novel ICT and especially the IoT, transportation modes will communicate with each other and with the environment. Together with big data applications the way for truly integrated and inter-modal transport solutions is paved. This maximizes efficiency gains and allows infrastructures to be designed and operated in a more integrated way. Mobility will be more integrated, efficient, comfortable and eco-friendly. Robotics and automation will play an increasing role in the delivery of transport services, security and infrastructure maintenance. A wider deployment of automated systems in cities could also lead to a significant increase in the 24h availability of products and services. Due to speed and access to data, passengers will expect certainty in terms of time, so reliable and accurate real-time information will be key, and they will assume optimal pricing. New uses of travel time will be possible. New societal and technology trends such as the growing demand of personalised offers, changing ownership models, new usage of transport as well as the increasing integration between information and communication technologies with the transport system will lead to the demand of new and innovative business and financing models for mobility solutions. Sharing economy and collaborative consumption is substituting ownership models and has great impacts also in transport of people and freight. Sharing economy focuses on redistribution, sharing and reuse of excess capacity in goods and services. Stakeholder engagement can be a powerful tool for cities to find solutions to complex issues. Community involvement in urban planning processes helps tailor developments to the needs of communities, increases commitment and provides valuable location-specific insights. Safety systems will even more than today be integrated with business management systems, ensuring that safety is built-in by design and that they are efficient, effective and dynamic enough to adapt and respond to fast changing and evolving threat and risk scenarios. Increasing investments in safety, and changes in the nature of liability will have a fundamental impact on insurance industry. 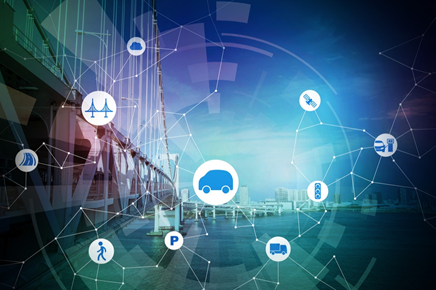 The security concepts resilient against attacks will be very strongly researched, developed and implemented throughout the global transportation system including infrastructure and equipment design and materials. They will need to also address human and cultural aspects. The internet and new technologies will inevitably increase the risk for cyber threats. The belief that mobility should be solely regulated by a single actor, commonly the local authority, will be gradually abandoned. Tackling mobility necessarily implies to find a sustainable and coherent balance between the necessity to develop an efficient network and the difficulty to preserve the surrounding environment against nuisances of all kinds: pollution, noise, deterioration of the network, public disturbance, etc. Technological developments obliged the legislator to review and sometimes reform classical business schemes in place. The reforms have been both a reaction and a trigger to changes in the transport sector. Uber, together with the growing systems of sharing economy and automated vehicles, lead to novelties in labour law, issues of insurance law and to new forms of self-employment.